How many times in your life has the thought of controlling your luck crossed your mind? How many times have you tried in numerous not so scientific ways of reining your destiny, your future? Perhaps the answer could be zero or perhaps it would be uncountable. But one thing is for sure, most of the ways did not work as they were promised. But not anymore will you have to rely on others or some unscientific and unverified methods for understanding your destiny. Learning this powerful discovery can assist you with some well-testified methods of chalking your future and some really important events of your lives like exam clearance, job, marriage, child birth and that also with the help of some mere digits known as your date of birth. Prof Dr. Oliver Tan, the Founder and Master Trainer of the Power Of Numbers has found out from careful and intensive research that your birth date can indeed control almost all important events of your life. With this knowledge, you can change, control or utilize your destiny the way you want.Make the first move by signing up for the next available basic workshop and you will be on the way to learn what numbers are affecting your life and how it can assist you to re-design your destiny. Join us in the Power of Numbers! Watch our captivating videos to learn more about The Power of Numbers, and hear directly from Prof Dr. Oliver Tan himself. An excellent icebreaker at any functions/parties or with someone new. 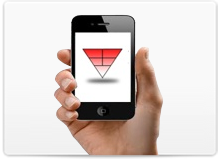 It will auto generate your primary report anytime, anywhere. Read more..
Life is full of uncertainties and changes. 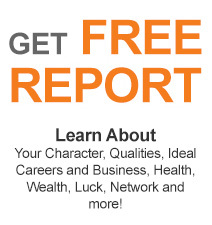 What if there is a proven method that will enable you to chart through life successfully? Read more..
Get Free Bonus with Each Book Purchased. 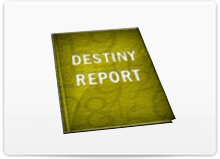 Read more..
A lifetime destiny report at an unbelievable low price and the accuracy is up to 90 %. Read more.. 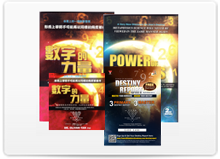 This is a proven method of calculation and self-discovered by Founder, Dr Oliver Tan PhD. 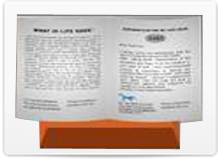 Read more..
DO YOU HAVE ANY CONCERN THAT NEED IMMEDIATE ATTENTION? JC has helped numerous helpless soul to see lights and get clarity on their life challenges, be it on Health, Relationship & Wealth.